Fifty three cases of lead poisoning have been confirmed in Putnam County from 1993 to 2016 with the majority in the greater Cold Spring and Brewster areas. Acting Health Commissioner Dr. Michael Nesheiwat brought the alarming news to members of the … Please login below or purchase a subscription to the Putnam County Courier to access this content. Oriente Lopez plays the keyboard with the school band behind. 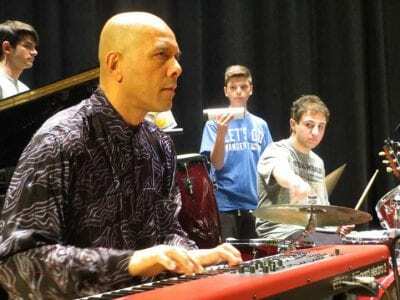 Oriente Lopez brought the house down at Mahopac High School last week when performing with his quintet during an Evening of Cuban Jazz. Wednesday’s event was so special because Lopez… Please login below or purchase a subscription to the Putnam County Courier to access this content. 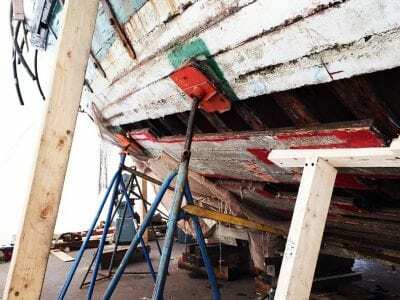 The sloop Clearwater on blocks and metal supports in Kingston. Decaying pieces of the craft amidships and below the waterline are being removed and replaced. The sloop Clearwater, one of the most identifiable and iconic pieces of Pete Seeger’s enviro… Please login below or purchase a subscription to the Putnam County Courier to access this content. Amelia Ann Pool Amelia Ann Pool was born on February 9, 2016, to parents Nicole and Joseph Pool of Fishkill, NY. Maternal grandparents are Joseph and Toniann Gentile of Hopewell Junction, NY. 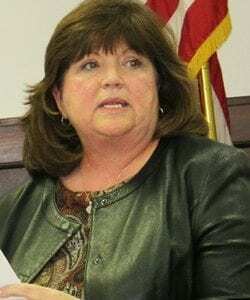 Paternal grandparents are Kenneth and Marianne Pool of … Please login below or purchase a subscription to the Putnam County Courier to access this content. Residents of Putnam County won’t have far to travel to hear popular music if entertainer Daryl Hall of Hall and Oates fame has his way. Hall, the proprietor of the music venue and restaurant, Daryl’s House, located on Route 22 at the Pa… Please login below or purchase a subscription to the Putnam County Courier to access this content.